With the advent of the roll-on-roll-off ferry, the inter-island ferry is very much a thing of the past on Scotland’s West Coast. 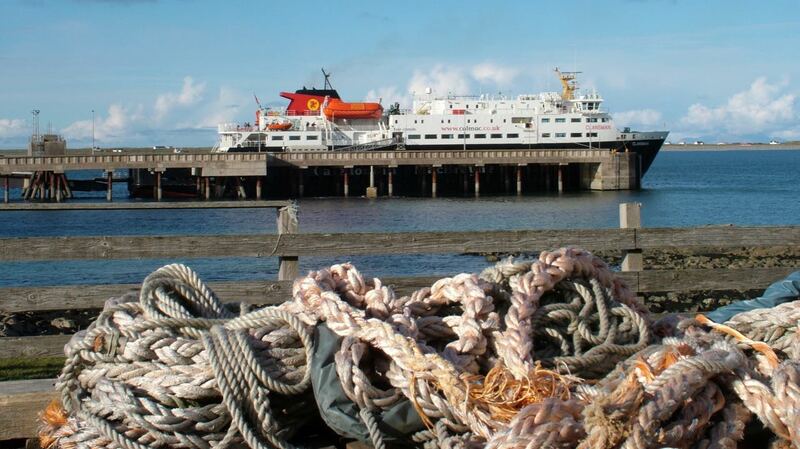 Although it is now easier in many respects to sail directly to the islands from ports such as Oban, Mallaig and Ullapool, there are very few inter island sailings. It is very different from the age of steamers and cargo vessels that plied these waters. Boats would leave Glasgow and make their way up the West Coast calling at various islands and then make the return journey to Glasgow. Such a journey on a regular ferry is now impossible. The ropes are cast towards the roundhead at the pier Tiree. You can sail from Mallaig to the Small Isles of Eigg, Muck, Rum and Canna. 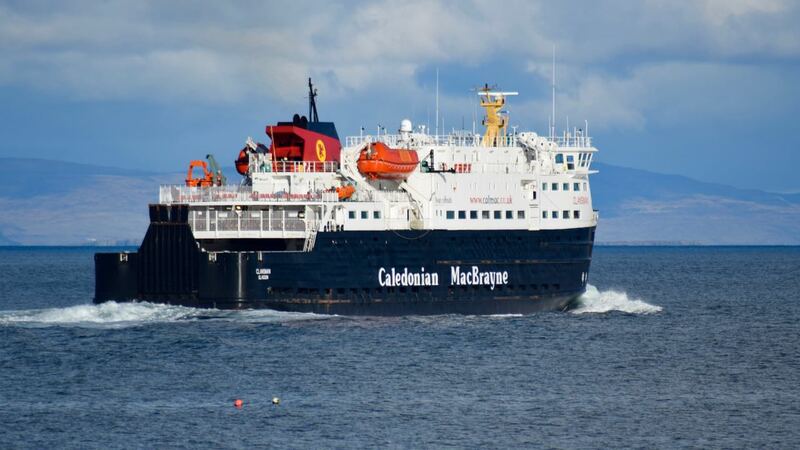 Perhaps the closest to the long distance inter-island sailing is to take the Wednesday ferry during the summer timetable from Oban to Coll, Tiree, Barra and return. It leaves Oban at 7:15am and returns at 9:30pm. It is unusual, but not unknown, for a ferry to sail through the Gunna Sound between the islands of Coll and Tiree during the winter timetable. 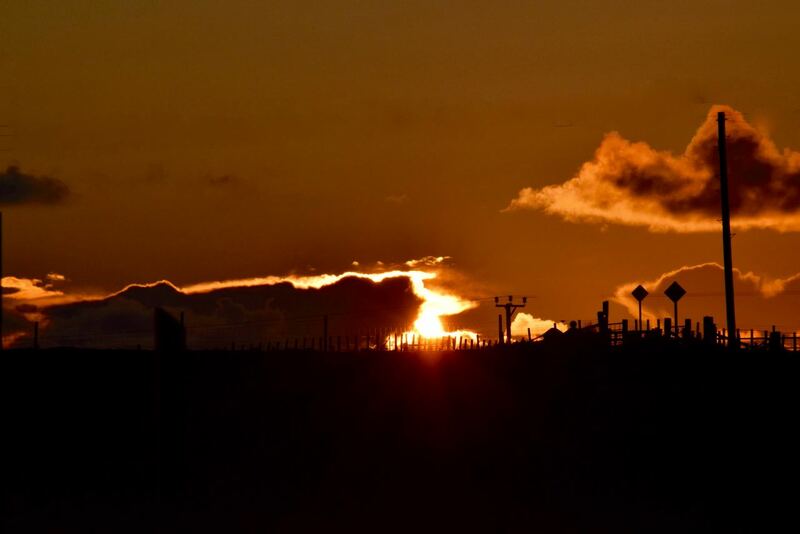 However, on a Wednesday under the Summer time-table, it is an impressive sight to witness the Mighty Clansman sail through the Sound as it heads out to Barra and then as she returns majestically to Tiree. Many people take the opportunity to photograph the Clansman in the Sound and then head back to Scarinish, either to board the ferry or to photograph her at the pier. Roll-on-roll-off ferries have many advantages. However, the lack of inter island sailings is a big loss. The island of Colonsay may be only 40 miles away across the water, but a trip there necessitates an overnight stay in Oban both ways. Some business people are making use of ‘ribs’ to make such crossings as it is time saving and makes good economic sense. This is ‘Life on Tiree’ on a beautiful sunny day at the end of March.